Our Training Programs are designed to be the most beneficial and effective for Your Dog AND for YOU ! With over 11 years experience in Training Dogs and working with Owners we have developed Training Programs that will be not only cost efficient but yet Very informative and Effective. 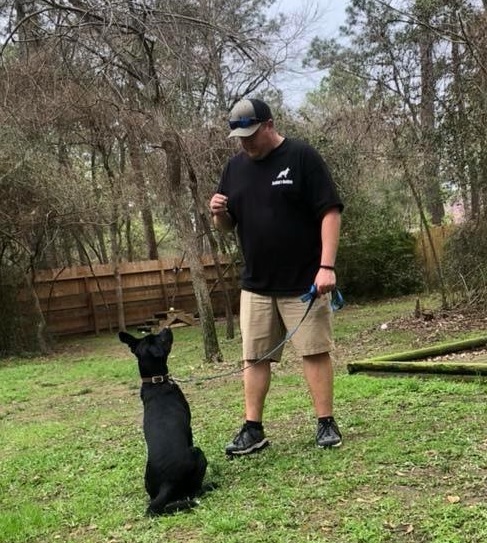 While Dog Training methods and Philosophies vary greatly from Trainer to Trainer there is one important aspect of training that ALL Trainers agree on. That is the fact that You the Owner must have the knowledge and information to change their own behavior as well. Many bad behaviors that dogs are exhibiting are from what we like to refer to as unintentional training. Unintentional Training occurs when we are not aware of the signs, body language, energy, and our reactions to various situations in which the dog views us. This is why we have developed our programs to include a series of follow up visits in your home along with free support for the rest of the dogs lifetime. There is a difference between Obedience Training and Modifying the behavior of a dog. Obedience commands such as sit, down, place, come, and stay do indeed help the behavior of a dog. HOWEVER with most dogs Obedience commands will not eliminate problem behaviors nor will it modify the dogs perception of the stimuli. There must be an equal balance of both obedience and working with the psychology of the dog in order to modify behaviors. Through modifying your relationship with the dog you can begin to modify behaviors. For an example if your dog is charging the door to meet guests, jumping up and being overly excited to the point of you shouting commands at the dog with no result , we do not use Obedience commands as a band aid to mask problem behaviors. Our approach would be to work with the dog and teach the dog how we want him/her to greet people, rather than avoid the interaction by using the place command to avoid the situation. This is just one example that can only be corrected by working with you the owner and the dog. Our Training programs consist of 14 days of Foundation Training / Assessment / Boarding in our home along with 2 In Home Training Visits after the initial stay with us in our Home. The initial 14 day boarding/training stay will allow us to begin foundation training of obedience exercises and work to correct problem behaviors. During your dogs stay with us they will kept inside and treated as one of our dogs. Our dogs are always supervised and never allowed loose without our direct supervision. 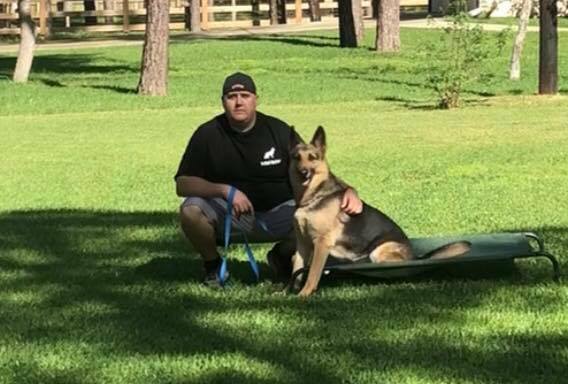 We begin the training process by instituting a structured routine with your dog and allowed to socialize with our own dogs who will help serve as our pack role models to your dog. We never overbook our training programs therefor your dog will typically be the only dog staying with us during their 14 day training period. We feel this is a large benefit that sets Needham’s Obedience apart from many others. We are sure to give your dog the proper amount of time that is needed in order to begin the training process. We take great pride in our ability to educate owners and families about the proper fundamentals in dog ownership and correct methods of training their dogs. Our In home training program is an excellent approach to training for more owner involvement. We begin our In Home Training visits by first showing owners how to gain focus and attention of their dog, progress into leash work , teaching of basic commands, and finally into addressing problem behaviors. Each training session will build upon the previous in order to work to achieve the desired goal of training. Each visit lasts approximately 1 hr to 1 1/2 hours and is conducted at the owners home and scheduled at their own convenience. Needham’s Obedience offers Boarding to all dogs for a charge of $40 per day. All boarding dogs will be kept in kennels, allowed to interact and freely socialize with current dogs in our training programs as well as our own dogs. Boarding fees must be paid for in advance and require a minimum of a 3 day stay. Transportation is available within our surrounding area. All dogs must be up to date and current with Vaccines as well currently be on flea and tick prevention medicine. Are you interested in Remote E-Collar Training but do not have any experience with E-Collars ? 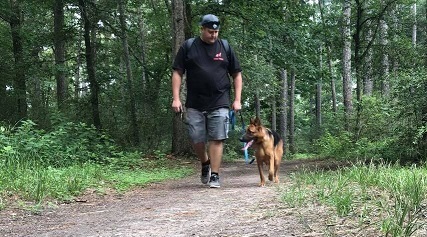 E-Collars are the number one training Tool used by Trainers to help owners create more precision Obedience and Off Leash Control with their Dog. 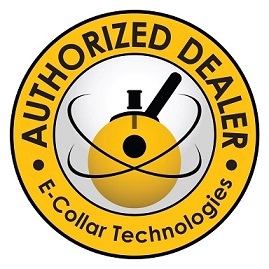 We have been advocates of E-Collar Training for a number of years and are Proud to be an Authorized Dealer for E- Collar Technologies Inc. . E-Collar Technologies is the leading provider of Remote Training E-collars among Obedience Trainers. E-Collar Training has Unfortunately been associated with negative training. This is due to inexperienced owners and Trainers using them incorrectly by simply putting an E-collar on the dog and immediately correcting the dog at a high level stimulation. Incorrect use , combined with a wide array of inferior, unreliable , and dangerous e-collars available on the market are contributing reasons E-collars are now being banned in various countries and have even begun to come under legislation in the U.S. for potential bans. We strongly advise against purchasing cheaply made inexpensive e-collars online. If your e-collar costs less than a bag of dog food, there is a reason ! Price reflects Value ! We do not advise owners to purchase and begin use of an E-collar without proper training from an experienced E-collar Trainer. An E-collar must be properly introduced to the dog to help create a positive association and recognition of the stimulation. This has lead to us creating an “Introduction to E-collar Training” lesson for owners that intend on Remote E-collar Training. Included in the price of the training introduction is a brand new E-collar Technologies Mini Educator et-300 ($199 value included with price of Training). There are many useful videos available on youtube to help you in remote e collar training, HOWEVER EVERY DOG RESPONDS DIFFERENTLY TO THE E-COLLAR. This is a benefit of having a private training introduction of the e-collar with you and your dog at your home. We take the guess work out of the training for you. We will find your dogs proper working level, teach you how to properly use, when to use, and why to use the E-collar with your dog. After the 1 1/2 – 2 Hour Training introduction you will be fully prepared and understand everything you need to know about the proper use and benefits of remote e-collar training along with your brand new Mini Educator Training collar. We do our best to answer any questions and advice on our training through our e-mail responses and through our social media accounts. Due to the vast amount information required for various questions they simply all cannot be covered through such avenues. We offer single in home training visits in order to help and show you through a hands on approach to answering your questions. 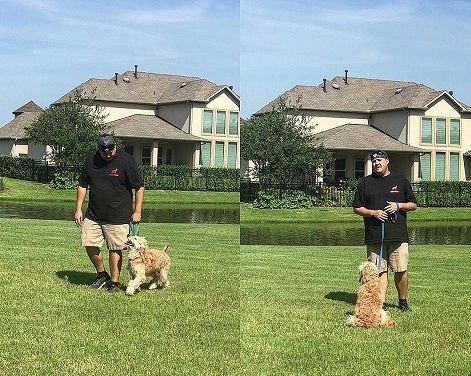 During a single in home visit we will explain our approach to training , shown the very same exercises and training techniques we use every day , also an overall evaluation of the dog and suggestions on how to correct problem behaviors and an understanding of how to begin a new proper relationship with the dog. Each visit lasts approximately 1 1/2 to 2hr hours long. *Needham’s Obedience reserves the right the refuse and or terminate training of any dog at any time into our training programs should we feel the dog is unfit, unhealthy, a danger to us or our other client dogs, or an owners failure to reach financial responsibility in a timely manner. Are you ready to start a new relationship with your dog ?